It may not be your first choice for a whiskey cocktail, but Irish whiskey can make some amazing drinks. Whether it's St. Patrick's Day or you're simply a fan of this style of whiskey, there are many great cocktail recipes to try. 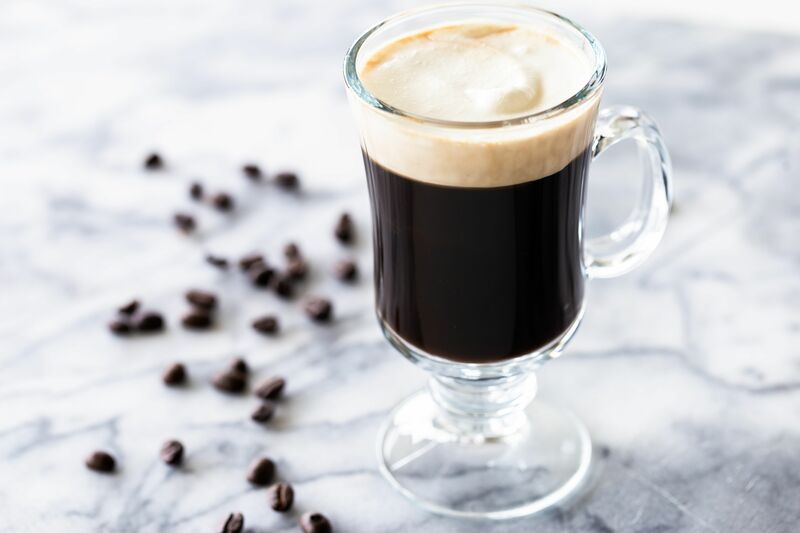 While there are tried and true favorites like the Irish coffee, Irish whiskey is surprisingly versatile. From refreshing highballs to short sour drinks, and fancy martinis to fruity delights, it's time to rethink what's possible with Irish whiskey. When it comes to a truly timeless cocktail, few can beat the original Irish coffee. It is the signature drink for Irish whiskey and a little more complex than simply spiking your coffee, though it's certainly not difficult. To make the Irish Coffee as it was meant to be, you will need brown sugar and lightly whipped cream. Combine those with your favorite Irish whiskey and the strongest coffee you can brew and a fantastic cup is ready to enjoy. A modern take on that classic recipe, the Irish Winter adds a couple of interesting touches. It's just as tasty and a fun way to mix up your spiked coffee routine. For this recipe, you'll keep the Irish whiskey and black coffee. To give it a sweeter, creamier profile, you'll bring in a coffee liqueur like Kahlua and an Irish cream like Baileys or Carolan's. It's simple and flavorful, perfect for your afternoon coffee. The easiest drink of the lot, the Jameson and Ginger is essential for any Irish whiskey lover's drink menu. It's a refreshing highball that can be customized as you see fit. Essentially, the recipe is nothing more than a shot of Irish whiskey topped with ginger ale. Choose any brand and call it by name or refer to it simply as a "Whiskey and Ginger." Also, if you make the switch to ginger beer, you'll have the snappy Irish buck. An easy, sprightly drink, the Irish Gold is a fantastic way to enjoy the lighter side of Irish whiskey. It's a very simple mixed drink and one you'll come back to again and again. The Irish gold starts off with a shot of Tullamore Dew. To that, it adds peach schnapps and just a hint of orange juice to give it a fruity twist. It's then finished off with your favorite ginger ale. If you're looking for a new happy hour drink, this is a great choice. So, you want a vodka martini but it's St. Patrick's Day and you feel obligated to add an Irish twist? Then the Irish Martini is the drink for you. This recipe is a simple way to marry the crisp, clean taste of the martini with the oaky darkness of the whiskey. There's no secret, either. Simply swirl some whiskey in your glass before pouring the drink. It's a small touch, but the taste is rather pleasant. There is no mistaking the wonder of the Massey Cocktail. This one is unique and a bit of an Irish Manhattan meets gin martini, with a herbal twist or two. It's definitely an experience you won't want to pass up. The recipe pairs an Irish whiskey with a London dry gin then tosses in a little sweet vermouth. To build up the flavor, you'll then add Green Chartreuse and the slightest hint of Campari. The result is the ultimate Irish whiskey dinner cocktail. Think of the Tully 10 Cider as an Irish whiskey-spiked mint julep for autumn. It's a very interesting blend of flavors and definitely not your average whiskey drink. Just like the mint julep, you'll begin with a muddle of mint and syrup. Toss in the whiskey, a little lime, then a good apple cider (hard or non-alcoholic, your choice). The fascination comes when you first experience the contrast between the warm, autumn flavors and the cool, refreshing mint. We typically don't associate either Irish whiskey or Drambuie with a sour drink. The Zesty Irishman proves that both can work out just fine and the result is a surprisingly delightful little sipper. 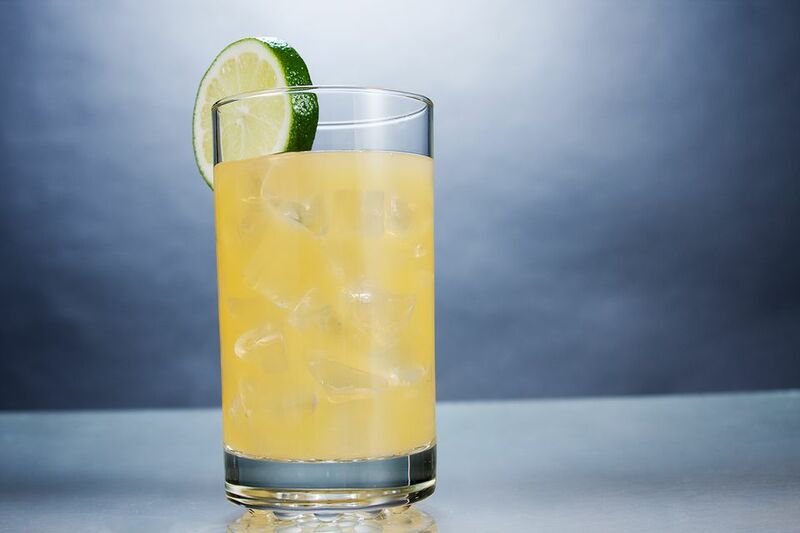 To create this lowball, the two dark spirits are paired with triple sec and fresh lemon, then topped with a splash of ginger ale. It really is zesty and ideal for those times when you're in the mood for something that's slow and smooth, but definitely not boring. When you're ready to take the Irish whiskey sour to a new level of complexity, the Old Thyme Sour is the perfect recipe. It will certainly appeal to your inner mixologist and is a drink that is meant to impress. There is so much to love about this recipe. You get to make a cinnamon-thyme syrup, light a sprig of Chartreuse-coated thyme on fire, and build up your muscles while shaking the egg. It's a taste experience, filled with flowers, herbs, citrus, and whiskey. What more could you want? Though single malt Irish whiskies are rare, they are around and worth exploring. The Irishman is one brand that offers the opportunity and while you have the bottle in your bar, be sure to mix up the Blackberry Malt. This is a rare treat in the Irish whiskey cocktail world because it pairs fresh blackberries and lime with the whiskey and sparkling water. If you've been reserving your whiskey for winter, it's time to bring it into the summer sun and this is the ideal recipe for doing so.